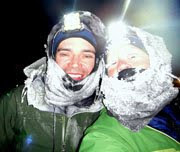 The last day of 2010 brought clear, cold conditions. 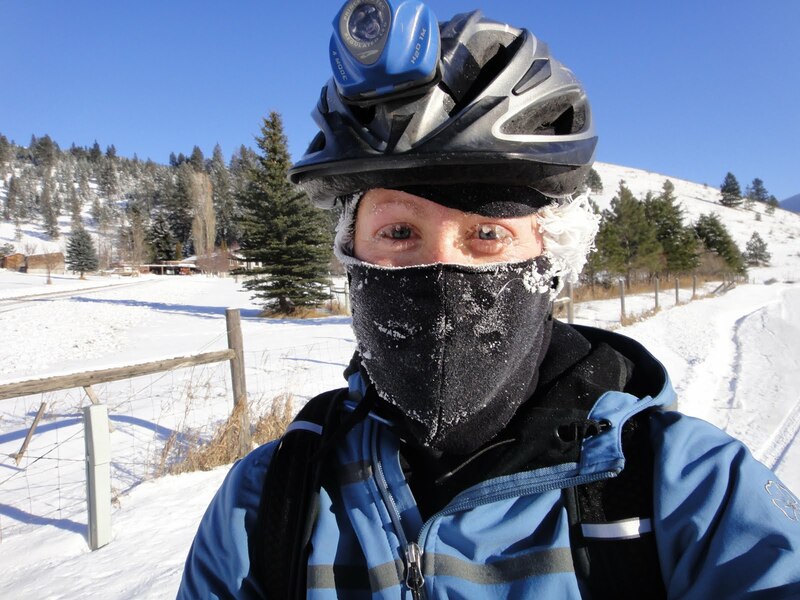 It was 6 below zero when Beat, Bill and I left my house Friday for a four-hour, 32-mile snow bike ride up Miller Creek canyon. 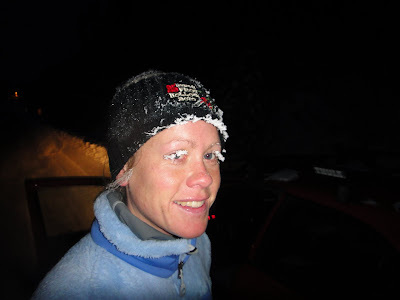 Temps climbed into the single digits as we drove north for New Year's Eve festivities in Kalispell, and hovered near zero degrees for our sled-testing 12-mile New Years Day run up Patrick Canyon. Two beautiful days yielded some incredible scenery, including the most incredible crimson red alpenglow I've ever seen, burning up the Swan Mountains as a sundog shimmered on the opposite horizon. I'll post those photos when I have more time. 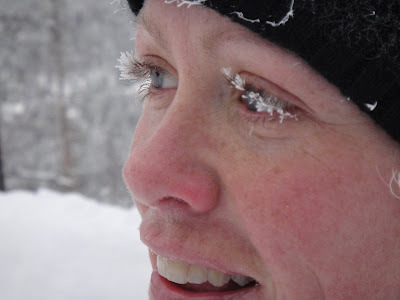 But beyond the intriguing scenery and general exhilaration of exercising in the cold, there's also a humorous side-effect: Flocked facial hairs. Early in the run, before it started to obstruct my vision. After the run, where Beat said I had a "Lady Gaga" thing going on. The run-frosted eyelashes were still preferable to the freezing that occurred on the snow bike ride, where continued efforts to thaw my eyelashes only resulted in large blocks of ice dangling in front of my eyes. May be time to invest in some goggles. Wow you have long eyelashes! !